From May production, the Euro 6c panel van range will consist of RWD models in a choice of three engine variants: 114 CDI and 116 CDI, which are both available in a choice of manual or automatic transmissions, and 119 CDI which features an auto gearbox as standard. 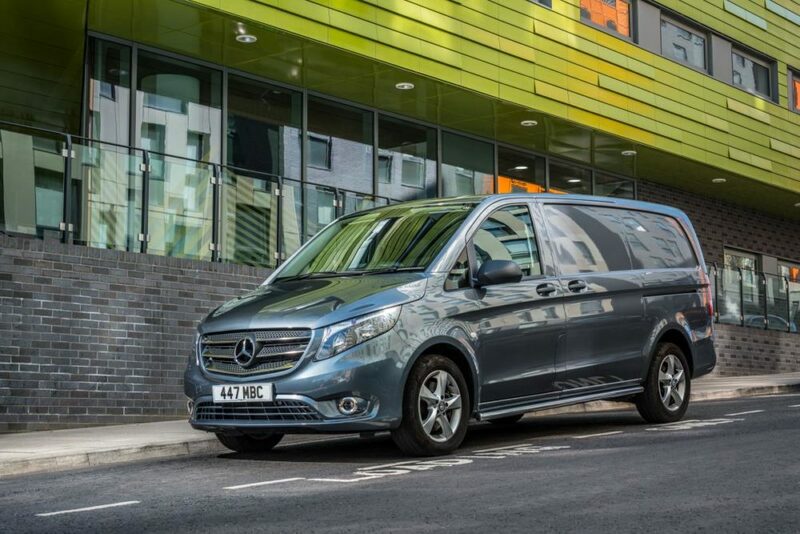 The Vito crew van RWD Euro 6c range will also be available with the same three engine variants as the panel van, with the 114 CDI offering a choice of manual or auto transmissions. The 116 CDI and 119 CDI will both offer an auto gearbox as standard. From September production, the FWD Vito makes a return appearance, with the introduction of a 110 CDI manual model, which will be available in a choice of panel van or crew van, in either PURE or PROGRESSIVE trim levels. The Vito Tourer also sees the introduction of a new, more efficient RWD drivetrain from May production, which is certified to Euro 6d-temp standards, and coupled with the 9G-TRONIC automatic transmission as standard, it can deliver around 13 per cent lower fuel consumption and CO2 emissions (dependent upon driving style). Vito Tourers fitted with the new drivetrain will emit 151-156g/km CO2 meaning that first year VED will be charged at £855. The 119 Tourer PRO L1 will emit 150g/km CO2 and will therefore drop down two tax bands, to a new rate of £530. All Vito models ordered for May production onwards will now include Mercedes PRO connect as standard, which offers a range of management services free-of-charge for three years, including: the emergency call system ‘eCall’; maintenance and repair management; fleet communication; theft warning; vehicle supervision; digital trip management; accident and breakdown assist; and vehicle operations.